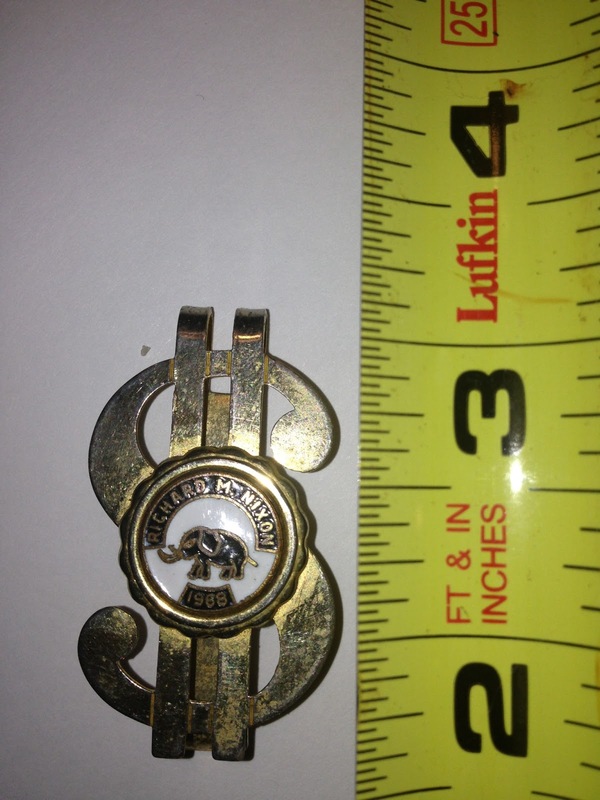 Submitted by Mike: A 1968 Richard M. Nixon Money clip in the shape of a dollar sign. If you can help Mike by identifying and valuing this item please click on the comment button. Thanks!